This video is to mainly show you how to replace the operator on a VW T25/T3/Vanagon Westfalia pop top camper van. More often than not the plastic rollers snap off with age but fear not, now we have new ones on the CampervanCulture.com web shop if you click here. We do pretty much every part for a pop top roof so if it is broken we are the first place you should try with prices that are rarely beaten. There is also a little extra gadgetry and insight into other products that we are working on right now at CampervanCulture.com. Westfalia Pop Top Skylight Dismantling & Reassembly from CampervanCulture.com on Vimeo. 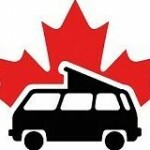 This entry was posted in campervanculture.com, Mechanical, Product Review and tagged operator, replacement, skylight, westfalia on July 12, 2015 by jed@CampervanCulture. We are really happy to announce that we have teamed up with The Skylight Guy and CampervanCulture.com can now offer Westfalia skylights and replacement parts. 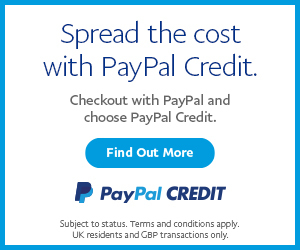 We will be able to supply all of the UK and Europe and are aiming to be the cheapest too. You can buy directly from the web shop, we take paypal, and we ship from the UK so postage should be attractive for everyone. All you guys on the other side of the pond still get to buy from the best supplier of Westfalia skylight parts via The Skylight Guy. Both Jake and Jed have had the single pane skylights fitted to their vans for over a year now and they are amazing, the fit is as good as original. Ideal if you have a cracked or leaky skylight. This entry was posted in campervanculture.com and tagged sky light, skylight, t25, t3, vanagon, volkswagen, westfalia on April 16, 2013 by jake@campervanculture.